municipalities with which they have existing contact and would like to further engage in cooperation and collaboration. The remaining project partner organisations will have the opportunity to use ACTIVE Network as the catalyst for establishing formal working relations with municipalities. ISCA will utilize existing city networks to help partners identify suitable municipal partners. Project will give opportunities to project partners to participate in so called “learning pairs” of local sport organizations and local authorities from the same community to develop their partnerships during these learning opportunities. Partner organisations who have not been joined by a ‘pair’ in the project will participate in multi-lateral exchanges and /or consultations with a view towards establishing formal NGO/GO collaboration before the end of phase 2. Twinning and multilateral meetings will be designed based on topics defined by partners at the kick off meeting. ISCA and project partners’ collective expertise will be offered for consultations of grassroots sport organizations and municipalities on specific issues of partnership within the project remit. Consultations can be in writing, by teleconference, or by physical visits. The consultancy function will take a pro-active approach to identify existing challenges that can be addressed. 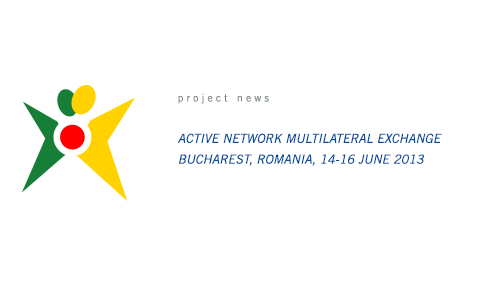 As part of the ACTIVE Network Project, project partners host meeting forums for municipalities and sports organisations in their own countries. The aim is to build effective working relationships between the two types of institutions, identify good examples of partnership working and develop new ideas for future working. Cyprus Sport Organisation (KOA) and Larnaca Municipality have chosen as their priorities in 2013/2014 cross-sector cooperation in the fields of Health-Enhancing Physical Activity (HEPA),Volunteering in Sport and Sport and Tourism. These partners hosted a twinning meeting with 50 participants as part of the ACTIVE Network project on 7 October 2013. Mr Pambos Stylianou, Chairman of KOA in his welcome speech stated that the topics chosen by both parties – which are consistent with the broader objectives of the ACTIVE Network Project – show that when aspects of grassroots sport, such as encouraging people to engage in physical activity, volunteering and sports tourism are backed by appropriate cooperation and common strategic objectives, they can deliver multiple benefits , not only on individual level but also for the economy, society , culture and the promotion of Cyprus abroad. Mayor Andreas N. Louroutziatis said that the organisation of the twinning meeting and MOVE Week, as part of the NowWeMove Campaign, in Cyprus was fully aligned with the objectives and priorities set out by the Committee on Youth and Sports of the Municipality of Larnaca, such as the active participation of citizens, especially young people, in sport and physical activity, the organisation of sports events and cooperation with other entities and sectors in the area of sport and youth. Sport and health topic was one of the priorities during the Cypriot Presidency of the Council of the European Union and Council Conclusions on promoting HEPA were adopted during this period. Based on these Conclusions, the European Commission has prepared a Proposal for a Council Recommendation on promoting health-enhancing physical activity across sectors. The Proposal was submitted at the Working Party on Sport meeting last month and it was welcomed by the Member States, and as things shows it will be adopted by the Council this November. At this point, KOA, as the highest sport authority in the state, is trying to materialise the provisions of these Conclusions and be proactive for the upcoming Council Recommendation. Building on the abovementioned documents, KOA has prepared a draft three-year National Cross-Sector Strategic Plan on Sport and Health – Promoting HEPA 2014-2016. National and European studies related to the participation of Cypriots in sports and physical activity. In the ACTIVE Network meeting in Larnaca many potential stakeholders were present. It was the first time for them to be informed about the context of this NCSP. The meeting was a good opportunity to get their initial feedback as well. At the meeting a good example from Slovenia was presented: “Challenges and prospects in developing and implementing a cross-sector cooperation on HEPA – The Slovenian experience and good example” by Maja Pori, PhD at the Faculty of Sport, University of Ljubljana. Maja presented the rationale behind the development of Slovenian NCSP; What were and are the benefits? What were/are the difficulties and challenges? What was the process during the drafting and the implementation? What are the evaluation outcomes? As in most European countries the sport sector relies heavily on volunteers and the lack of volunteers is one of the biggest problems of sport club development. Sport organisations are challenged to take care of this scarce resource. They are forced to recruit, educate and retain volunteers. But only few sport organisations have tackled this challenge with a systematic approach. Effective volunteering which meets the pressures and responsibilities placed upon volunteers and organisations requires effective strategic planning and management. But there is no one-size-fits-all approach. The size of the organisation, the number and types of volunteers and the complexity of roles being offered, demand a particular and individual course of action. The ACTIVE Network twinning meeting facilitated a strong debate about the framework for the most relevant dimensions of a volunteer strategy and gave some general advice about how to manage such a strategy. Saska Benedicic Tomat, ISCA Head of Projects, stated that “Each organisation has to develop its individual approach and define a long-term, systematic steering of development processes. This follows the principle of constant and step-by-step improvement of the strategy/action plan based on the available resources and the plan’s acceptance among the actors involved. Political willingness, careful planning (action plan), defined sequences for implementation and evidence based evaluation procedures are the basic elements for successful management”. A number of grassroots sport organisations are managing facilities in the field of sport, culture and tourism. They are managing facilities and operating in the same field as, although with non-profit perspectives that in some cases are very different from, the ‘for-profit’ companies managing facilities on a 100% commercial basis. The City of Barcelona and UBAE, as a leading promoter and provider of sport and fitness in Catalonia, have considerable experience in managing sports facilities. They shared their knowledge with the ACTIVE Network partners and MOVE Congress 2013 participants at an ACTIVE Network workshop on 19 October 2013 in Barcelona. UBAE is a leading promoter and provider of sport and fitness in Catalonia. It operates a number of facilities that are used for sport and physical activity including UBAE clubs. UBAE has been a regular and active participant in European projects on sport and physical activity with the MOVE Congress partners CESS and ISCA. Responsible governance, accountability and financial sustainability have been pillars of their success. UBAE currently operates 11 wellness centres, covering an area of over 80,000 m2, and serves more than 70,000 people, representing close to 6 million users per year. The facilities are managed by directors who work with fitness and pool instructors. The use of the facilities is registered with a series of data including the number of users, their origin, age and gender. All this information helps to create a profile of the users, which enables an assessment of the demand for activities in the sports centres. From the capacity of the different organisations that process all this data, some management indicators will be obtained that will help UBAE make decisions which determine how sports centre evolve. At the same time, it is essential to establish a communication plan that allows the exposure of the centre's activities in a universal and targeted way that is directed towards the different profiles of practitioners, in order to not only attract new users, but to maintain the existing ones. Internet, social networks, etc., have become a channel to consider. Eurofitness The Sorrall, is located in Mataro at the entrance of the city. It is an emblematic club with a vocation for service of health and sport set in almost 8000m2 of natural environment. The club has two indoor swimming pools and one heated exterior pool, hydromassage with water jets, spa, fitness room, directed activity rooms and more. Some of the activities include: aerobics, big dance, body combat, cycling, yoga, water polo, aquagym, children’s swimming courses and many more. Eurofitness Horta is located in the city of Barcelona. Eurofitness Horta offers relaxation and comfort with magnificent views of the city which gives the club an incredible feeling of peace and tranquility. It has indoor swimming pools, one fitness room, three rooms for directed activity, Spa area, 1200m2 of indoor courts and 523m2 of outdoor courts. Some of the activities include: cycling, step, aerodance, fit classes, yoga, pilates and many more. Eurofitness Badalona is located in the suburb of Badalona Llefià, between the cities of Badalona and Barcelona, with easy access by public transport. Taking advantage of the existing competition pool, the club expanded significantly in 2008 with a large annex building devoted entirely to fitness and wellness with new spaces, modern facilities and the latest machinery. Eurofitness Badalona offers customers a very wide range of sport and health activities, including outdoor activities due to its proximity to the “Besos” Park. It has two heated swimming pools, a fitness room, a room for directed activity and a cycling room. It also has a beauty centre. Some of the activities include: aquagym, aquaxtreme, body combat, step, cycling and many more. UBAE and City of Barcelona are keen to assist in the development of facility management within the ‘Sport for All’ sector and to inspire and initiate contacts and cooperation between facility operators and managers. They will also help other ACTIVE Network partners in the development of facility management in different countries.